1. Kevin Durant. The lanky six-foot-nine freshman phenom is averaging 25 points and 11 rebounds a game and has led this team of toddlers— the No. 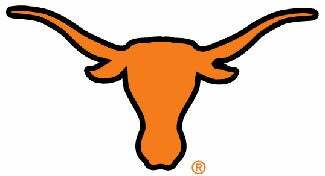 15 Longhorns started the season with four fish and a sophomore— to its eighth consecutive 20-win season. In their Feb. 28 double-overtime victory over then-No. 7 Texas A&M, Durant scored 30 points, including a long jumper from basically out of bounds at the end of regulation that should have ended the game (damn you Acie Law). 2. Kevin Durant. No, seriously: Have you seen this guy? He thrives in all five positions on the floor, bombing 3-pointers, leading fast breaks or using his height to pull down rebounds and block shots. His work ethic is now the stuff of legend, complete with tales of him running up a Maryland hill long past sundown. And in this, his first— and probably only— NCAA season, he's up for virtually every major award short of a leg lamp, including National Player of the Year.